Miso & butter are very good friends. In Hokkaido (Northern island of Japan), one of their specialties is "miso-butter ramen". 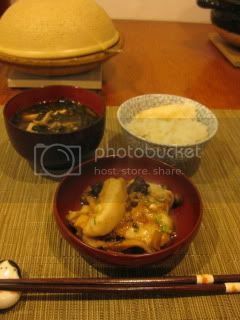 They also make many seafood dishes by using miso & butter combination. 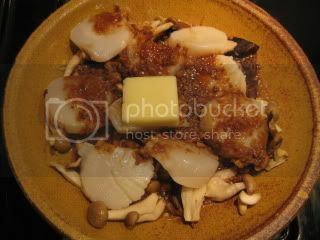 So, it's like my my homage to Hokkaido cuisine...I made SCALLOP & MUSHROOM IN MISO-BUTTER SAUCE with hint of yuzu. 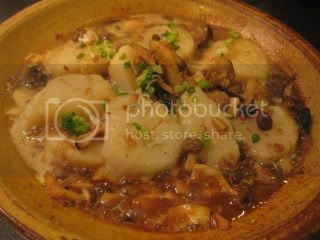 My donabe steam-roaster, "Tochinsai" is a perfect tool for this dish. 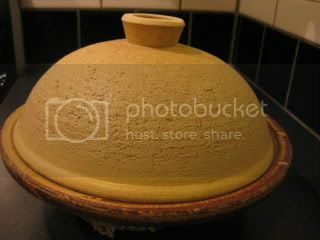 This microwavable donabe, "Tochinsai", is of course, great to cook over gas-stove top. You can even use it for searing or sauteing ingredients over high heat. It's such a versatile donabe, so for this recipe, I don't use a grate insert. I only use the skillet and its lid for "steam-frying". 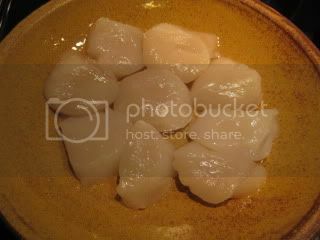 First, saute seasoned scallops to lightly color both sides. Transfer them to a plate and set aside. 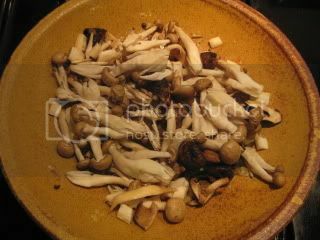 Meanwhile, saute garlic, ginger, and add some mixed mushrooms (this time, I used my semi-dry sun-dried mushrooms for deeper flavor, but you can use regular fresh mushrooms). Bring the scallops back in. 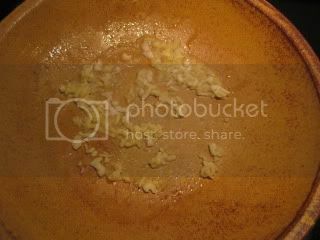 Pour the miso-sake sauce (miso, mirin, raw brown sugar, sake, and dry yuzu), and add butter. Cover with lid and let it steam-fry for a few minutes. Sprinkle some minced scallion and the dish is ready. Easy dish with amazing flavor. This dish screams for freshly cooked plain donabe rice to go with it! 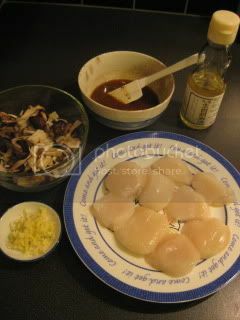 I posted the recipe on toiro's website. Hope you try it with your Tochinsai at home.